Dr. Strickland has an energy for optometry like we’ve never seen. Originally born in New Jersey, he always loved the beach and had a desire to combine the idea of beach living with his dream career. 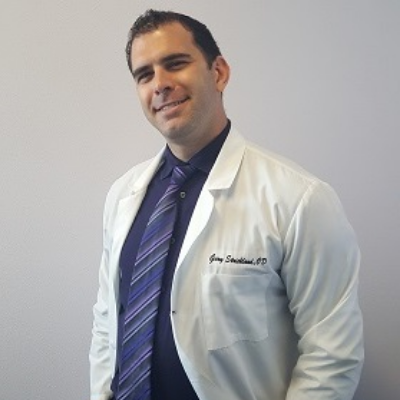 After practicing optometry for four years in New Jersey, he made the move to California. Five years later, he can safely call southern California home. Living in Ventura, he found himself driving up the PCH to Santa Barbara and loving the coastline. He finally discovered Montecito Optometry and it has made his dream complete. He has practiced for ten years as a medically oriented optometrist with a keen sense for fashion. He loves the vibe Montecito offers and is thrilled to see patients of all ages. Patients are often heard laughing and enjoying their eye exam while he helps ensure their eye health and provides clear vision. We are definitely lucky to have found him and he is excited to see both existing and new patients. Give us a call and schedule your eye exam with Dr. Strickland today!